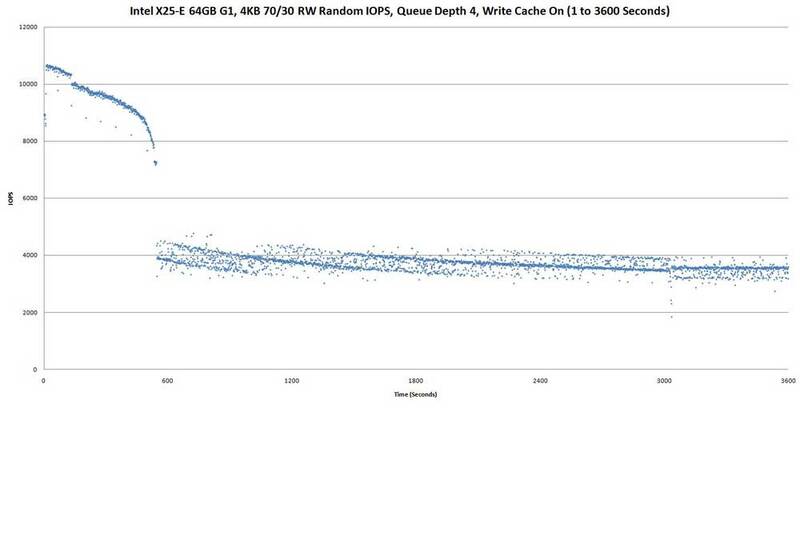 Iometer is used in the following benchmark runs on the Intel X25-E, 64GB G1 SSD. 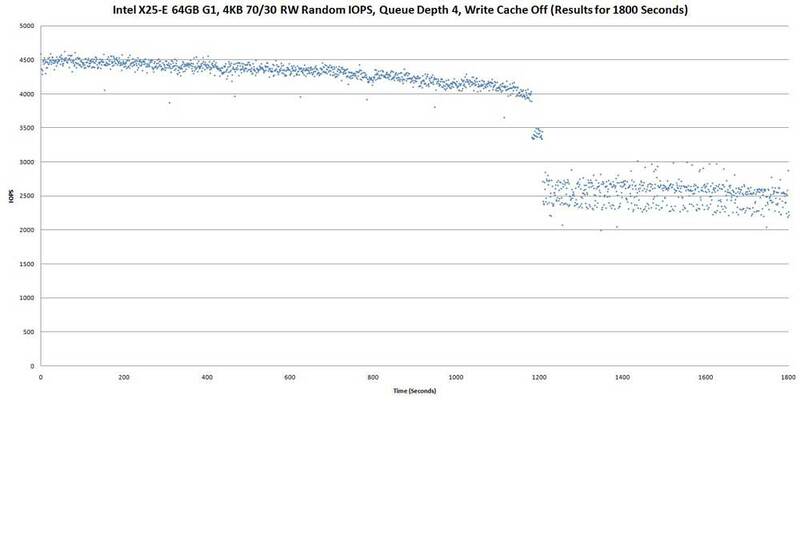 2 tests were done, 1 with write cache, 1 without write cache. 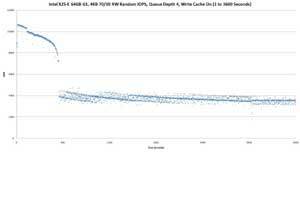 The tests ran for over 12 hours each. 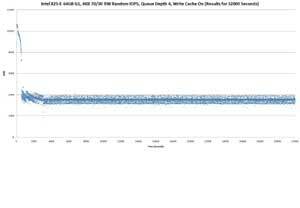 In the following graphs, only 32000 seconds (8+ hrs) is shown, due to limitation of the software used to generate the graph. 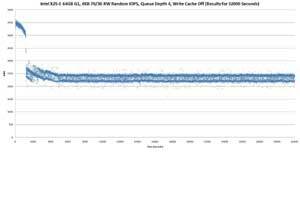 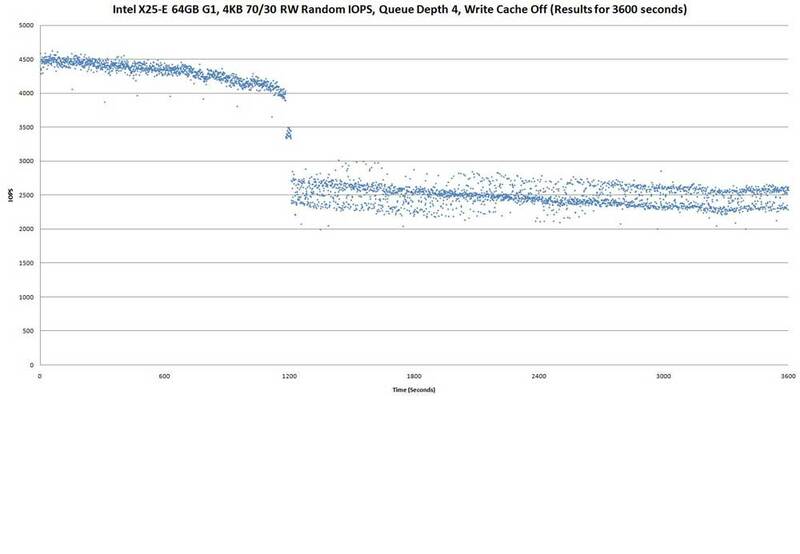 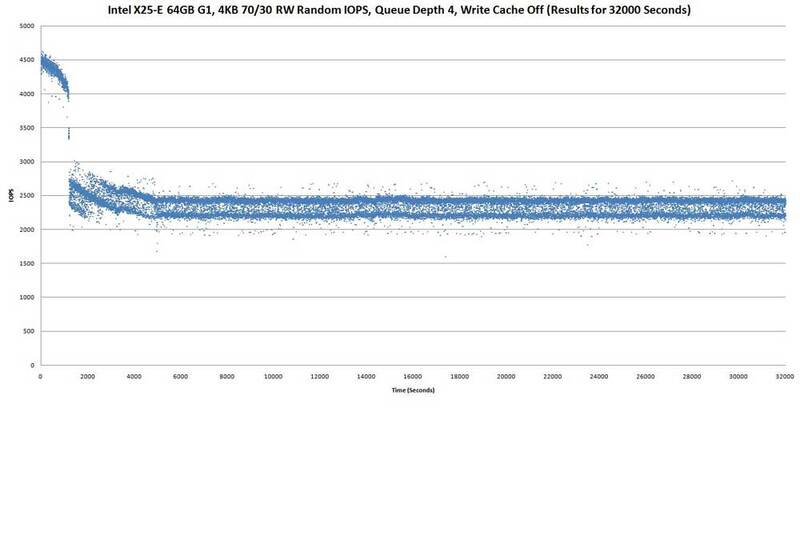 Above scatter graph shows the IOPS over 32000 seconds (8+ hours)for the X25-E 64GB G1, with write cache enabled. 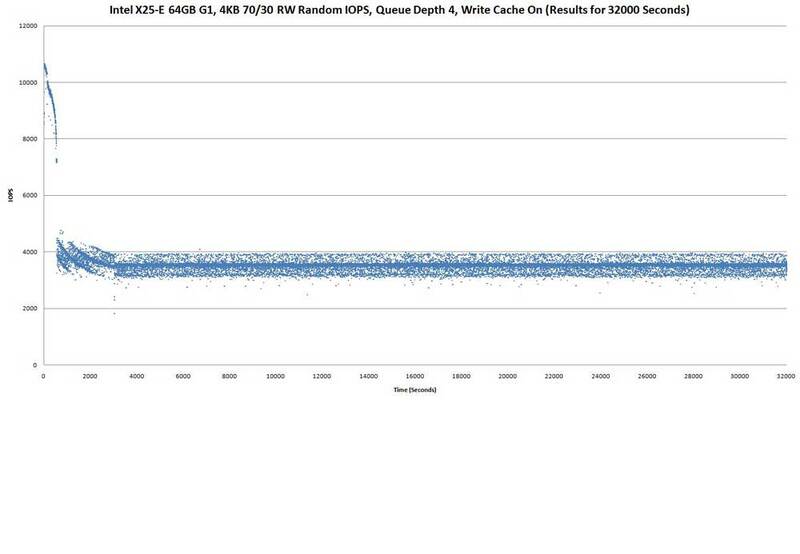 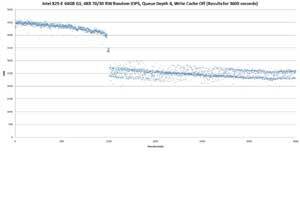 The test starts off at 8915 IOPS, hit a high of 10665 IOPS at the 15th second, and thereafter declined, with a sharp drop from 7228 IOPS at the 544th second to 4327 IOPS in the next second. 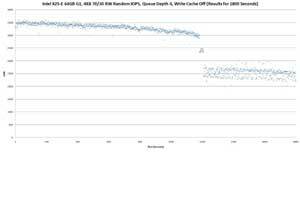 Thereafter, the IOPs gradually decreased till 3032nd second, where there's a drop to 2874, then 2295, and finally 1828 IOPS, before recovering. 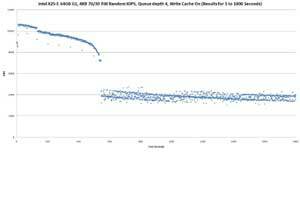 Above graph shows same run, but results for 1st 3600 seconds. 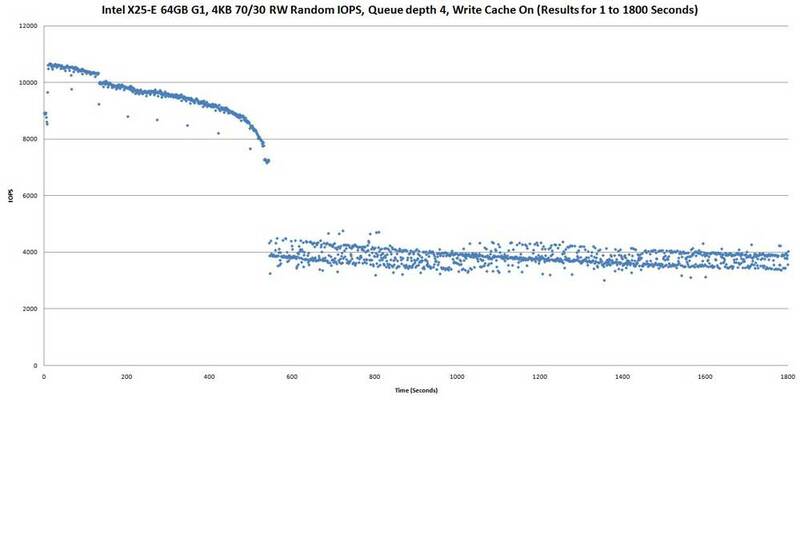 Above graph shows same run, but results for 1st 1800 seconds.